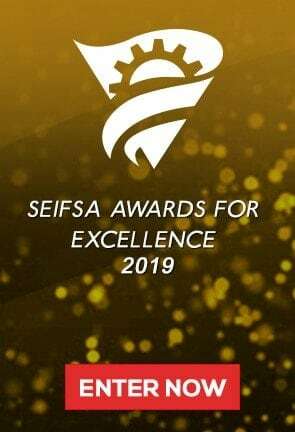 Johannesburg, 12 February 2019 – The Steel and Engineering Industries Federation of Southern Africa (SEIFSA) welcomes the improvement – announced by Statistics South Africa (StatsSA) today – in the unemployment numbers in the domestic economy. The latest Quarterly Labour Force Survey (QLFS), a household-based sample survey by StatsSA that captures labour market activities of persons aged 15-64 years, indicates an increase in jobs in manufacturing on a quarter-on-quarter basis. The StatsSA data generally capture a decrease in the unemployment rate from 27.5% during the third quarter of 2018 to 27.1% during the fourth quarter of 2018. Speaking after the release of the figures, SEIFSA Economist Marique Kruger said the broader manufacturing sector – including its Metals and Engineering (M&E) cluster of industries – recorded employment gains of 48 000 jobs during the fourth quarter of 2018, representing a 2.8 percent quarter-on-quarter increment. However, the sector disconcertingly lost 24 000 jobs in the year, a 1.4 percent year-on-year change, despite an encouraging increase in output, highlighting an urgent need for sector-specific interventions. The changes in employment numbers were varied in other industrial sectors. The mining sector recorded a net gain of 31 000 jobs on a quarter-on-quarter basis, adding to the net increase of 27 000 jobs year on year, while the construction sector shed 21 000 jobs on a quarter-on-quarter basis. “The unemployment dilemma continues to be one which is difficult for policy makers and captains of industry to deal with. This is despite increased political will, as highlighted in both the jobs summit held late last year and in last week’s State of the Nation Address by President Cyril Ramaphosa. It is clear that efforts aimed at easing unemployment are bearing fruits, although time is needed for initiatives aimed at stabilising employment to become more effective,” said Ms Kruger. Moreover, SEIFSA is confident that identified interventions aimed at accelerating inclusive economic growth and investment (both domestic and foreign) will improve employment numbers slightly in the medium to long term, Ms Kruger said.